I truly believe that our hearts have to be settled. We have to quiet down our lives so that His peace can truly dwell in our hearts. Often, we stay so busy, so distracted, that we don’t even have time to listen to His voice. I’m oh, so guilty of this! With our recent military move, with kids at two different school, multiple Bible studies that I’m a member of, other ways I’m looking to volunteer and be a part of the community, I can quickly fill my days to the brim. And yet, God calls me to moments of stillness, He calls me to seasons of letting go of somethings, so that I can wait for Him to His word in new ways. In Exodus, right after Moses encourages the people to not be afraid, do you know what happens, friends? The LORD parts the Red Sea so that they can all walk through to the other side. I’ve heard this story since I was a little girl, but it never ceases to amaze me! They were so afraid, and the LORD still came through in such a miraculous way. He moved a giant, powerful body of water out of the way so that they could walk right through. But they had to pause, and let the LORD provide for them. No amount of trying on their own could succeed. They couldn’t lift that water out of the way. Maybe a bucket at a time, but that’s about it. On their own, that water would have still stood there, separating them from the Promised Land. But they stopped, and the LORD provided! You all, Pricilla’s words struck me so deep! As I look at my own heart, I can definitely see areas I need to reclaim. Yes, standing firm and strong is so important. That is why I always seek out Christian community and fellowship, why I make Bible study a priority in my life. I want to stand firm. But there’s a time to move as well. I time to claim back some things I didn’t truly even realize that Satan had grabbed ahold of. By doing this, I don’t stop standing, I don’t stop listening. No, I’m still continuing to do that, but I’m also moving forward. 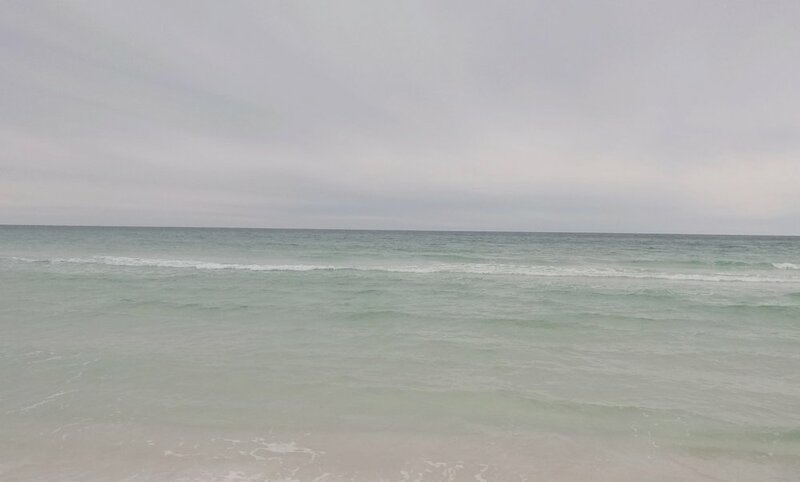 I’m taking that first step across the Red Sea, trusting that the LORD will part the waters, trusting that He has something intentional in store for me on the other side. I’m standing, but I’m also moving forward, I’m looking toward what’s up ahead. Yes, there’s a time to stand, but there’s also a time to move. Instead of feeling sad that my kids are getting older, and may not need me exactly like they used to, I find myself excited, excited for the new things up ahead of me. Excited for the way God may use me, my gifts, my talents, for His kingdom. Being a Mama will always be one of my most important callings, but it’s time to start moving, and see what else may be in store! 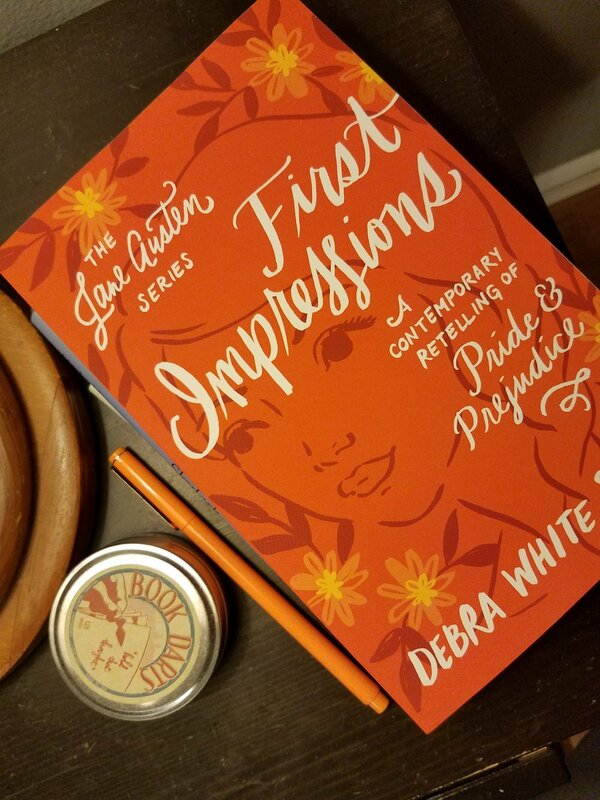 I received a copy of this book from the Bethany House Bloggers Program in exchange for my honest review. Julia Bernay believes that God has called her to be a doctor, but in 1881 London this is not an easy thing to accomplish. A large portion of society i still opposed the idea of women doctors, or in any profession for that matter, but new opportunities are becoming available each day. Entering the London School of Medicine for Women is extremely difficult, but Julia is determined to succeed. She studies hard at Queens college for a year, catching up in areas her education has lacked until now. And then trouble strikes. A lawsuit against the school of medicine threatens to close the doors. A battle rages between two sides, one a rich man with title, power, and influence who feels offended, the other a school of woman. One of the barristers fighting against the school is Michael Stephenson, a man Julia is quickly becoming close to, despite her best efforts. Michael and Julia form an unexpected bond, which has consequences for all involved, and begs the question, can a woman be a doctor and still have a family? I loved the premise of this book, the time period was so interesting. I loved looking into the lives of these early female doctors, and how they balanced the ins and outs of life and family. I also liked Julia's interaction with the poorest set of London, the parts of London that most people avoided at all cost, and how she realized that there's a need for medical attention, and a need for God, everywhere you go in this life. The premise of woman doctor, and the interaction of Julia and her patients, was truly my favorite part of this book. There was also a little bit of a mystery, having to do with Julia's past, which was also fun, and admittingly, still left a little open ended, even with the epilogue. I liked how it ended though. In my opinion, there was a little too much time spent on the "romance" part of the story. The inner dialogue of the two characters, making eyes at each other, and constantly thinking about each other, was a little over the top for me. Overall, a job well done! This is actually book 2 in the London Beginnings series (although they seem to stand independently as books, as far as I can tell). 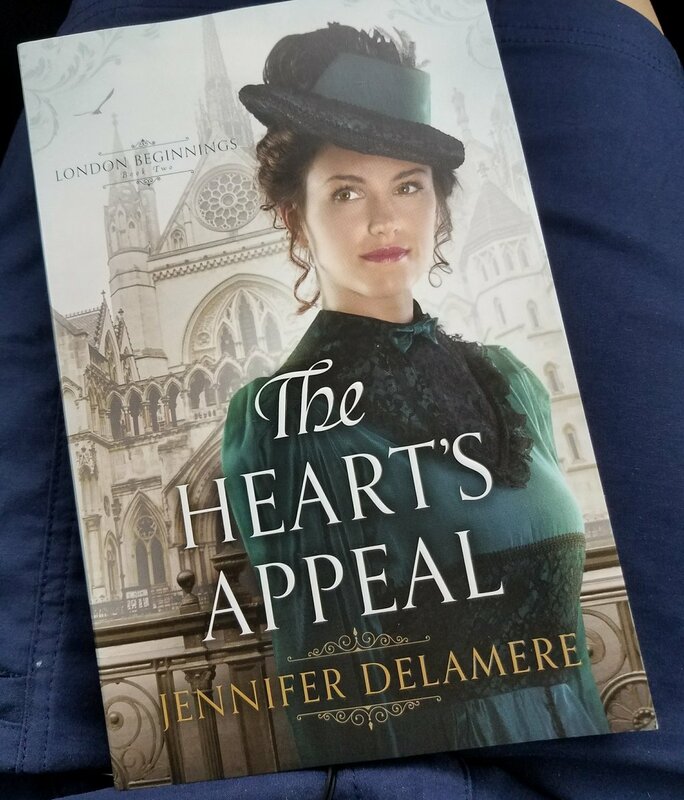 I would definitely read other books by Jennifer Delamere (even if I do roll my eyes a bit sometimes, ha!). The Bethany House Bloggers Program has given me a copy of this book in exchange for my honest review. Have you all read Dani Pettrey before? I friend clued me in on this Christian author a year or two ago, and I've loved her ever since! In fact, I just finished the prequel to her Alaskan Courage series earlier this month, Shadowed). If you like suspense, but struggle with the language and content in other books on the market, Dani Pettrey is definitely a good pick for you! Her stories draw you in from the beginning, and at times may make you even want to jump out of your skin! They're fast paced and deifnitely keep your interest. 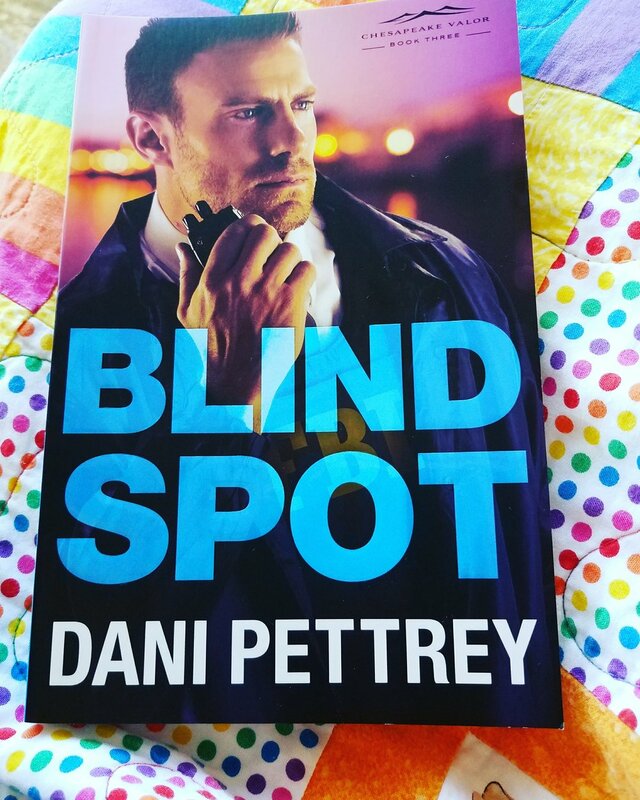 Blind Spot is book 3 in the Chesapeake Valor series. I read book 1 awhile ago, so I felt like I was already familiar with most of the main characters. I do want to go back and read book 2, to fill myself in on some of the plot. This is one of those series that really does seem to connect, book to book. The Chesapeake Valor Series revolves around a group of childhood friends, who had at one point been pulled apart through difficult circumstances, but now band together to solve some cases. These cases include missing persons, human trafficking, and what appears to be terrorism. Their jobs in the Police Force, FBI, and Forensics, all come into play. It's really pretty interesting! The last few pages of Blind Spot leave you waiting... waiting for the answers that will have to come in a future book! The only downside for me? The characters felt a little flat. I don't know why. I'm hoping reading book 2 will help explain some of that to me a bit more. They really didn't develop or change for me during this story. The romance aspect also made me role my eyes a bit. But it does make me wonder, maybe this story really is more about the action, and less about the personal characters? I still loved the fast paced nature of the stories, I think I just love the Alaskan Courage series a little more. Either way, the author has my attention, and I'll definitely be watching for book 4! 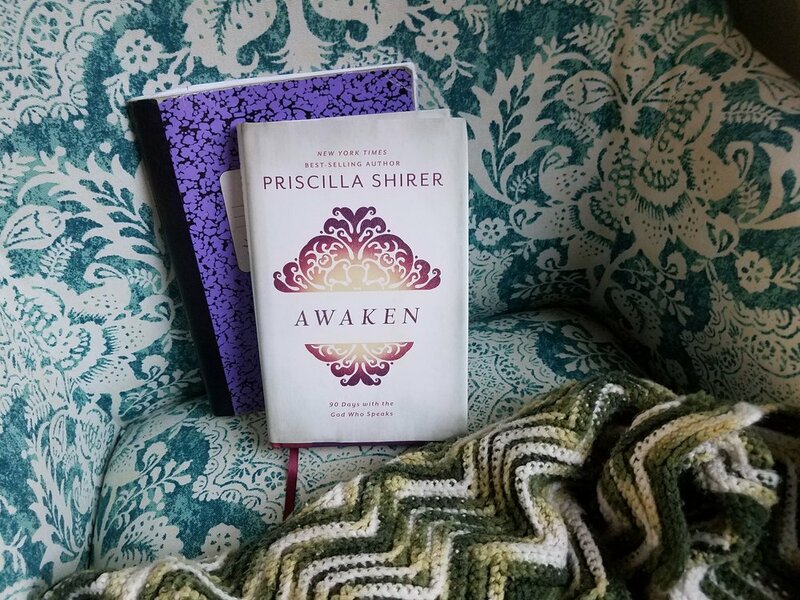 I was asked by B&H Publishing I wanted to take on an additional review for this month, Pricilla Shirer's new devotional, Awaken! Lately, it feels like my world has been surrounded by Pricilla! For awhile now I've been reading through her book Fervent. My Bible Study at church is in the middle of doing her re-released Discerning the Voice of God study. And just last Spring, my church also did her Gideon study. I love how Awaken feels like a continuation of all of these. A peek into her quiet time throughout the years, what she must have been mulling over as these other Bible studies and books came to be. Awaken consists of 90 separate devotionals. Each devotional has a scripture for the day, some thoughts, and additional space for journaling. My favorite part has often been the extra scriptures at the end. I find myself hunting them down in my own Bible, tucking them away in my own journal for remembrance. Each devotional isn't supposed to take long, but is supposed to strike a cord, make you think, encourage you to pause at the beginning of your day for prayer and reflection. These are deep thoughts, thoughts that I truly want to tuck away in my heart. I love when any book hits home like that. This devotional is extra sweet, because I can come back to it time and again. The connections I'm making to her other various books and Bible studies only make it better for me. A certain devotional may strike a cord, and remind me of a truth from a past study. Sometimes we need to see the connection, we need to hear that a storm is coming, but that He has us firmly in His hands. This devotional is that for me. Truly a gift! Don't you love Beverly Lewis? Her stories of Amish life always fascinate me. Each story is so different. It amazes me that she can still create such interesting plot lines. I read The Proving as part of the Bethany House Bloggers Program. They give copies of the books in exchange for our honest reviews. Selecting a Beverly Lewis book was a no brainer for me. What, and excuse to read one of my beloved authors? Sure! There is always a bit of a risk involved. I would hate to give a favorite author any less than a stellar review, but I also always desire to be honest and forthright. This book did not disappoint. One thing I love about Beverly Lewis is her authentic people. You really delve down into the deep with them. Mandy Dienner has not had it easy. Years before, she left behind her Amish life to live in the outside world. This sudden leaving was brought on by a betrayal, a betrayal and angry words that seemed to leave her with no other choice than to leave. When she comes back, it's for sad reasons, sad reasons and a challenge: Live at and manage her family's Bed & Breakfast for 1 year, and then it will belong to her. This is easier said than done. The Amish community in the area doesn't look kindly on a former-Amish Inn Keeper. They see her as a betrayer, an outsider, and interloper. These Amish neighbors were the very people she was once close too. Now Mandy is at odds with them all. Redemption doesn't come over night. The battles are inward, and they go on for most of the story. The on going struggle is part of what I enjoyed about this story. The solution wasn't instant. Fences weren't just magically mended over night. But isn't that true to life? I was truly happy with the end of the story. It came up gradually. It seemed more realistic than fiction often can be. I hope you truly enjoy this latest installment from Beverly Lewis, I did! It's a nice book for a rainy Fall day, just brew a cup of coffee and start in! This week I have a book review for you, Treasured Grace by Tracey Peterson. To start, the premise of this book fascinated me. Grace marries, not for love, but to provide for herself and her two younger sisters. They head West with her minister husband, in order to join an Indian Mission on the frontier. Along the way her husband dies, leaving the girls once again on their own. Thankfully, there's room for them to live and serve at the Indian Mission. But their story is far from over. While at the mission, they experience the Whitman Massacre, a horrible incident, drawn from real life, in which one of the local tribes turned on the mission and killed almost everyone there. I love the amount of research that went into this story. Peterson did a lot of work to bring a real life incident to life. The intermingling of fact and fiction has always fascinated me. Historical fiction has always been one of my favorite genre's. I really thought Peterson did an excellent job with the historical aspects of this story. I will say this: the dialogue felt extremely stilted and unrealistic to me. Even way back when, I doubt that people talked the way that they do in her book. I also felt like a few of the interactions felt a little too scripted. Would the head of a settlement really sought out Grace and her sister's like He did, taking such an intentional interest in her well being, over others? For me, the research and setting made it fascinating, but the dialogue was too unrealistic for me to really dig in. It left me distracted, skimming through certain parts so that I could get to the end of the story. I don't really like when that happens. This book has long been on my list of books to read. It's a book title that resonnates with me. I mentioned that reviewing Craving Connection really affected me. It touched on a sore area of my life. And so, I pray over this Bible study we're about to study at church. The girl who feels so uninvited has THREE meetups with friends this week. The girl who doesn't feel like she fits, is suddently surrounded by people. What exactly that means, I'm not sure. I do think we go through seasosn where we have to stand on what we know. I know my God is faithful. Iknow my God provides. But it still astounds me when he shows up. I'm still just so amazed at his unending faithfulness and love. Yesterday, I had a wonderful morning at church, went out to brunch with family, and then the hubby and I took the kids to a playground. It was there that I ran into a sweet friend. We sat down on a bench, and both said just how uninvted we've felt in this season. How we both feel like God is calling us to this study for a reason. Friends, He's precious and relentless. And He never ceases to put people in your life each and every day. Be encouraged by that today. This Southern world that I now live in celebrates something known as Mardi Gras. In the North, we literally called it Fat Tuesday. It'sa day of excess, of parties, before a time of pentitence. It's a day of craziness before Ash Wednesday. I've never attended a church that applies Ash crosses to foreheads on Wednesday. But I'm aware of the ritual. I'm aware that it's a outward sign of inward repentence. I'm aware that it's the begining of Lent. Lent is a season that has gone by in the past without too much notice, for me. In recent years I have participated in some special Bible studies, or gone through specific devotionals. I've even written about Lent on this blog before. I think for one, during Lent, I'd like to pick up one of my journals again. It's a practice I fall in and out of, depending on the season, and how busy my outside life is. February in The Influence Network was on Bible Literacy. I loved the extra resources, and the extra podcast. It was all really encouraging for me. I struggle in Bible Studies at times, feeling as if I almost know too much. I've grown up in the church, attended Christian schools, and read plentiful books, so I know lots of random things about the Bible. I know a lot, so I'm afraid that I'll come across as a know it all. At the same time, Scripture truly is living and breathing. There's always more to learn. And so I want to encourage myself to grow in new ways. I want to take advantage of those in between times. I want to seek out what He may have for me this year. I want to learn. And for me, that might means journaling, taking apart scirpture, looking up verses in commentaries, looking up the original Hebrew and Greek. Really learning the meat of it all. That excites me, and I always want to be excited when I delve into scripture. I also want to embrace contentment, letting God fulfill me right here, right now. Living fully in the life He's given me, but also opening up my heart to new friendships, new opportunities to write, new opportunitiees to reach out and love others. But to do that, I feel like I need to delve in. And for me, that begins with a pen, a Bible, and a journal. Will you join me? This blog is such a tiny corner of the world. But I'd love to share what I'm learning with you. How do you approach Lent? Do you give something up? Focus on reading certain scirptures? I hope, whatever your approach, that you're waiting with anticipation for Easter to come. Our Bible Study has been going through Angie Smith's Seamless. I love Angie's genuiness, she's hilarious, but also gives a really clear outline of the Bible. It's been a really helpful study for me! I know so many stories from the Bible, but it's wonderful seeing it as the big picture, all pointing toward Jesus. This week, we've been looking at the Prophets, all of the men and women that prophesied to the Israelites and the surrounding nations about their sins, but also prophesied about the rebuilding of Jersulam, and the ultimate redeemer to come, the Messiah, Jesus. I have felt so empty this week. So spent. My nights have been restless, my dreams distressful, my kiddos have been bikering. I have felt drained and low. And then I read through the Bible scriptures for today. I read, yes, of the discipline the Israelites and surrounding nations would face, but I also read about Isreal's restoration. These words were meant for them, but they spoke so sweetly to my tired spirit. They spoke of the ultimate restoration He does in my heart again and again. They spoke of the tremendous picture, not always seen to me, but always seen to Him. They encouraged me, as I hope they will encourage you. May your soul be satisfied today. May you find solace in the LORD God, who restores and makes whole, who is at work, even in the dryest of seasons. I've been a following (in)courage from the begining. Have you heard of them? Over the years I've read their blog posts, and even participated in some online book clubs. Craving Connection lives and breathes the very message of this community. You're not alone. You have a God who loves you and created you for community. The book itself is a 30 day devotional, written by women in the community. Each day has an inspirational verse, a devotion, some questions, a practical suggestion for community living, and a closing prayer. I love the aesthetic of the book. The pages remind me of a scrapbook or Journaling Bible, with pretty details along the margins. It makes me happy to pull it out and look through it. Honestly, the subject of community can be a raw one. I've been in some intensely lonely places. But at the same time, I can relate. All of us as women crave community. This military life means that I know what it's like to be the new girl in town. I know what it's like to feel like I don't quite fit in. I also know that it takes investment, it takes time, time seeking out Jesus, time seeking out community. Reading devotionals on this subject doesn't discourage me, but instead fills me up, reminds me of God's perfect plan in my life. I hope it encourages you as well. I was surprised at the length of the devotionals, this definitely isn't quick in and out reading. It takes time to read through, time to ponder. I also think it would be helpful to have a journal on hand, a place to write down your own answers to the questions from each day. Overall, it's a sweet book, and one that I think any Christian woman can resonnate with. We've all been lonely, yes? Even in the midst of busy lives, we crave connection. My word is so different this year, so personal. It's hard to describe, exactly. All I know is it's something my husband and I are working through this year. It started with our PCS in June. As we searched for a new church, we found ourselves really drawn to services with a little more liturgy, and little more tradition. We were at a point that we were craving some good old fashioned hymns. We found ourselve attending a United Methodist chruch. Very different from the last church we attended, but good. Isn't it amazing how vast the kindgdom of God is? We're all so different, but Sunday comes and all draw together and worship Jesus. Worship comes in so many ways. It's fascinating. At this new, United Methodist church, there were things we were unfamiliar with. Why the different colored robes? Why the focus on different scriptures through the year? These are new things the Christian church as a whole, but they were new to us. 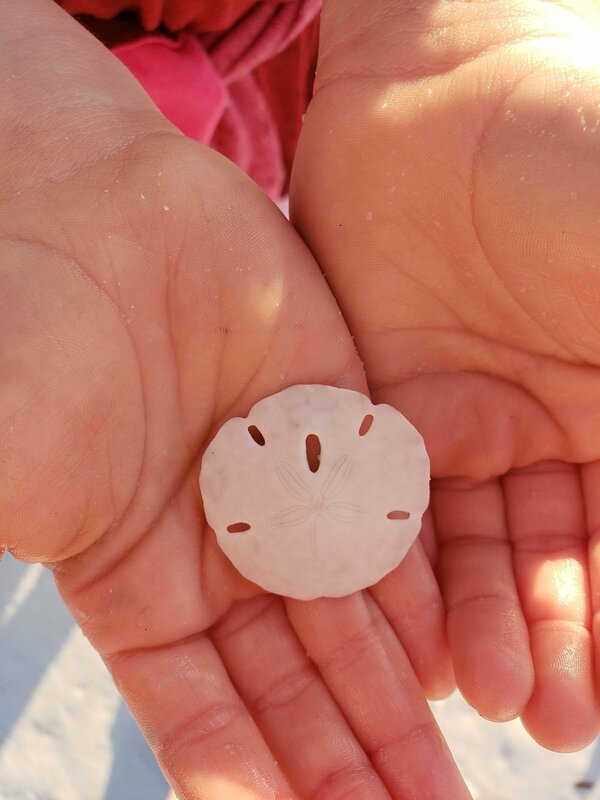 It piqued our curiosity. And then I took an Influence Network class. This teacher talked about how she and her family found their rythmn in the seasons of the church. 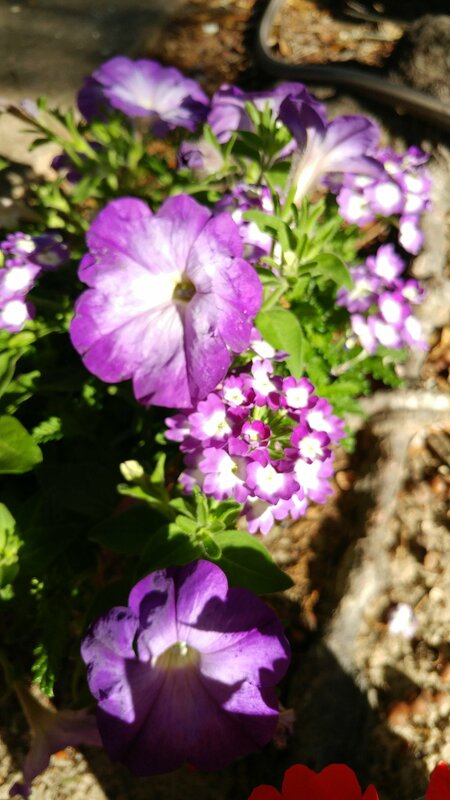 She talked about how, for them, Advent was the begining of the year. The birth of Christ was only the begining. Each season had a specific focus, that looked toward Jesus, instead of crazy schedules. Advent, Ephipeny, Lent, Easter, Ordinary Time, these season weren't a completely unheard of concept to us. We were both raised in the church. But we loved the idea of focusing on them a little more intentionally. Of making it a point of dicussion with our children throughout the year. We wanted to work out our faith. For us, we've started reading through this book: and doing a weekly devotion with our kids on Sunday nights. It's been great, because they seem to be talking about the same thing at church as well! So far we've looked at Jesus' Baptism, the calling of the disciples, and his first miracles. I think I'm really going to enjoy this new change in our family time! We also picked a word for this year. It's the first time my husband and I have picked a word together! Work out means I'm activiely thinking about ways to make Jesus the center of our family's life. The center of our rythmn. That's the first part, right? Not necessarily knowing all the answers, but finding new ways to emphasize that Jesus sets the rythm of our lives, not busy schedules. Philippians 2:12 was an endorsement from Paul to the early church to continue working out their faith with fear and trembling. Not as one who is afraid, huddled in the corner in the dark, but as a people who understand just how great and awesome God is. Who understand that He really does hold all things in his hands. I really enjoyed this definition of fear and trembling: " [Work out is] used to describe the anxiety of one who distrust his ability completely to meet all requirements, but religiously does his utmost to fulfil his duty" (Blueletterbible.org, accessed 01/26/17). Isn't that us, as humans? Or is it just me? As a child of God, I honestly want to do my best to serve Him each day. I honestly want each word I say, each action I take, to mirror Him. But I also know that I mess up alot. I honestly know that I could never do it all on my own. I would never be enough. I honestly know that I need Jesus. I need Him to work through me each day. I need Him to ulitimately bridge the gaps that I honestly can't complete. But that doesn't stop me from working. That doesn't stop me from seeking. That doesn't stop me from ever moving closer to Him. Praying, spending time in His word, being intentional with my children, reevaluating priorities in my life: all of these things are part of the Christian walk, as we ever seek after Him. And so, that brings us to 2017. The year of katergazomai. The year of experiencing more of God, and seeking after Him all the more. I don't completely know what that will look like. But I do know that I want to be intentional. And that's why I'm sharing these words year, on my little corner of the Blogsphere. I hope you join me in finding a word for this year.